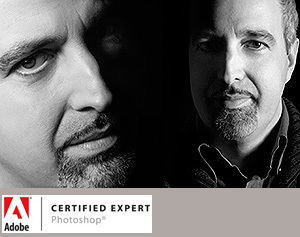 Alessandro Bernardi is a Photoshop Adobe Certified Expert, specialized in photo-retouching, image digital post-production as well as a digital color management expert for color correction and file preparation for printing. After ten years work as production manager in an advertising agency in Naples, in 1997 he started his own activity in Milan, cooperating with pre-press companies, advertising agencies and professional photographers. Afterwards he improved his activity comprising video-editing and DVD creation, starting technical training and advice for many companies and professionals in this field. The beginning of digital photography and the new techologies in digital color management make him become interested in everything concerning color and its optimization. Due to his incurable and contagious passion for Adobe Photoshop and color, he decided to become a Photoshop Adobe Certified Expert. In 2007 he successfully attended Dan Margulis -known as the father of color correction in Photoshop - Applied Color Theory in Photoshop Basic as well as Advanced classes in the USA and Canada. He workes wih Adobe Guru Marianna Santoni and contributed to the Italian Adobe Photoshop Lightroom Getting Started Guide. 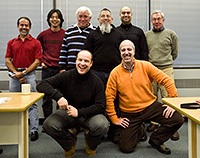 At present he cooperates with Dan Margulis to promote his color correction techniques and knowledge in Italy, providing advice and teaching all Photoshop and color matters. Read more in Resources &amp; Training section section.